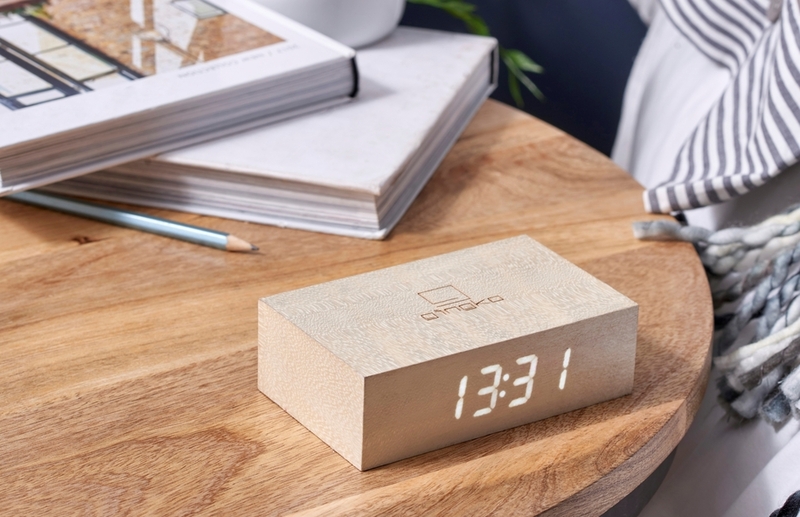 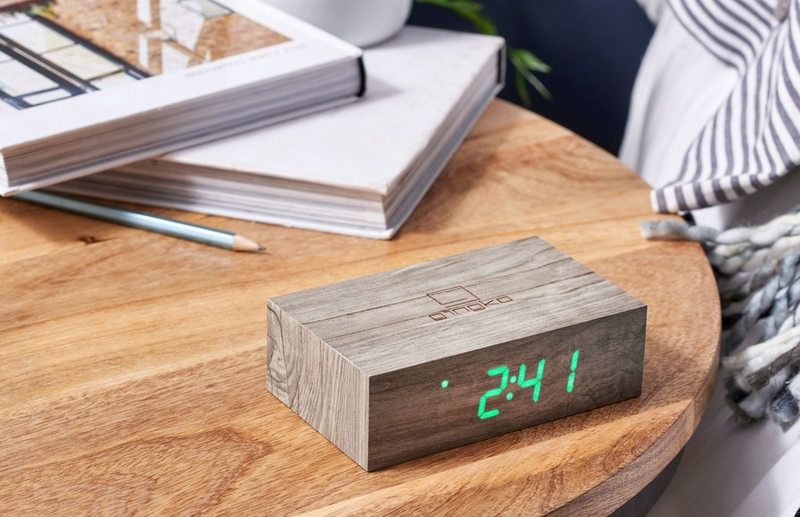 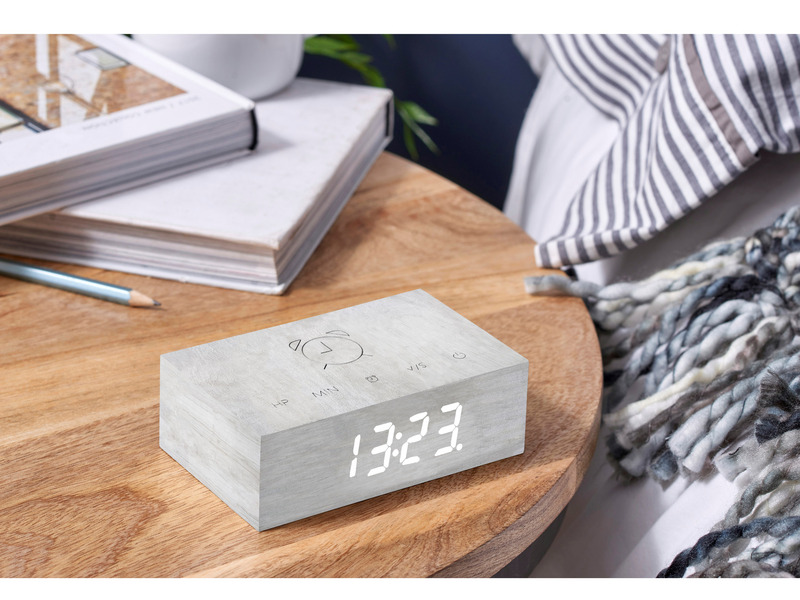 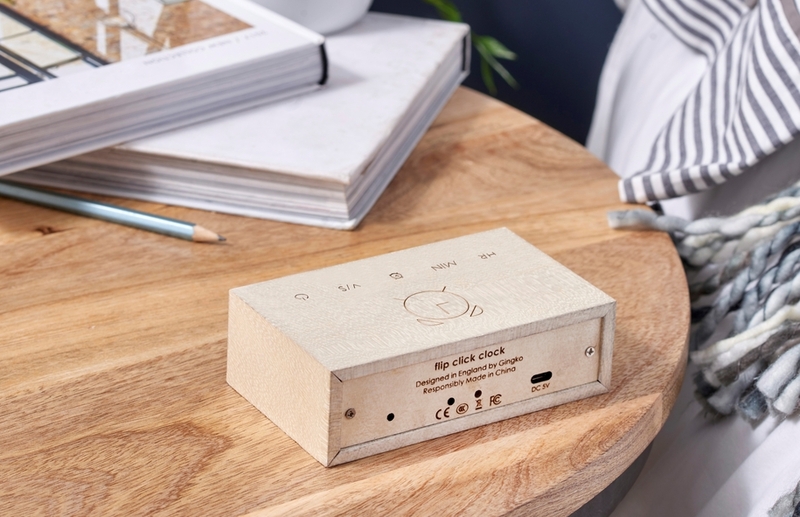 Our brand new Flip Click Clock is crafted with natural wood material and incorporated with our popular sound activated LED clock system, laser engraved touch control top and the new flip alarm technology. 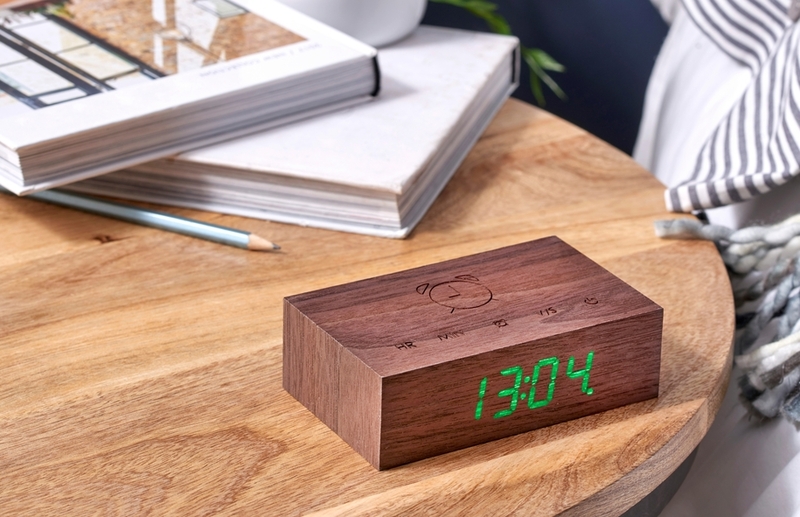 It’s designed to enhance your whole experience of day to day alarm clock use. 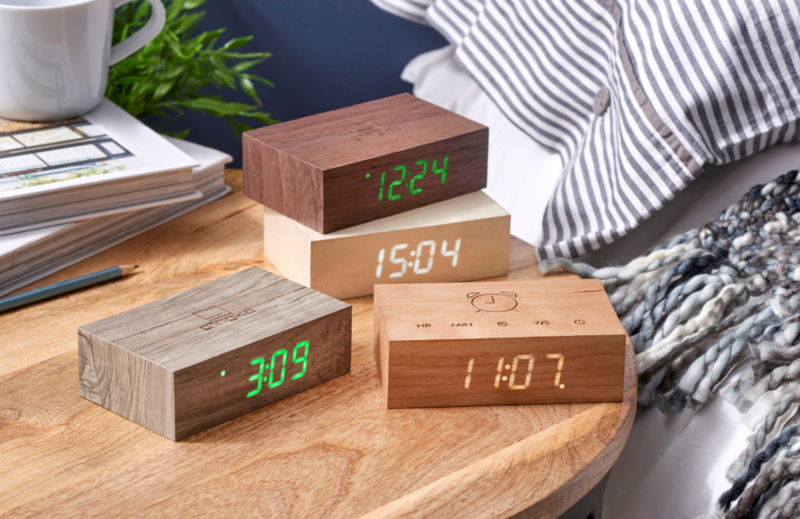 The Flip Click Clock isn't your normal alarm clock, with the same sound activated clock system as our other click clocks, the clock display automatically disappears when it’s quiet but still moves perfectly accurate every second. 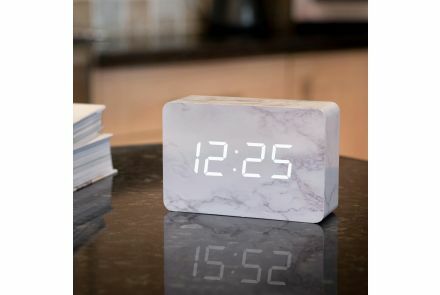 It lights up again when you give it a gentle tap, a cheerful clap, or a magical click of your fingers. 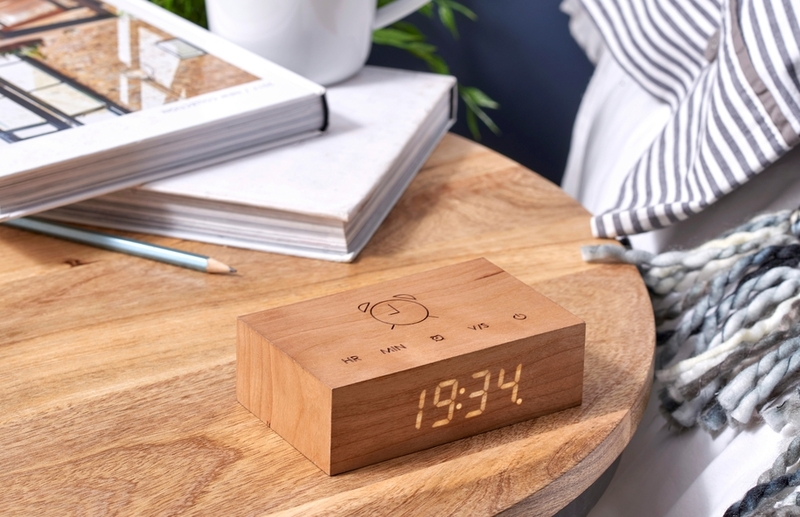 The simplified display function has made the clock super-easy to set up. 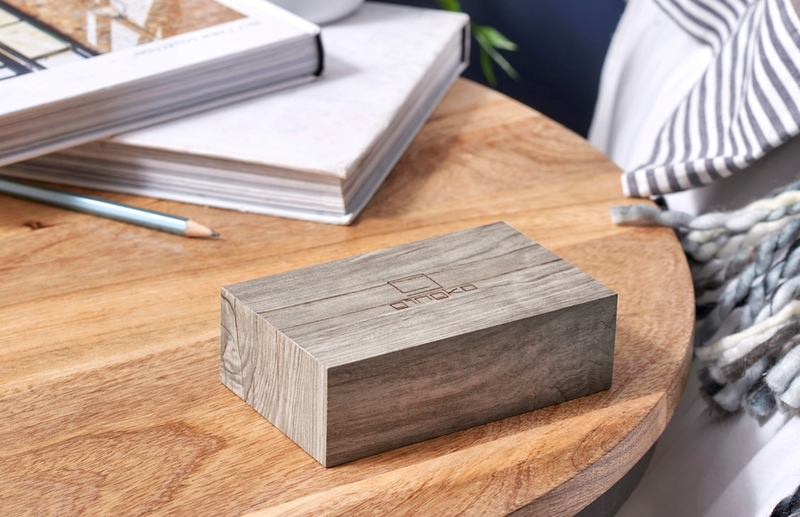 To set the time and alarm, simply touch the fine laser engraved buttons. 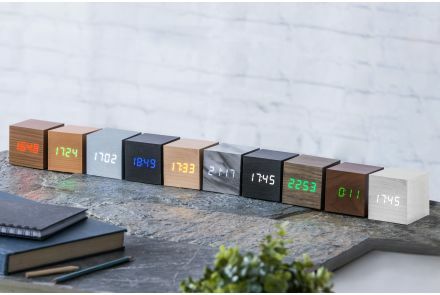 When the alarm goes off, gently ‘stroke’ any of these engraved buttons on the top to snooze and to turn off the alarm, you can easily flip it over and the numbers will be magically corrected to a normal display as well, keeping the same time and moving as accurate as before.